Being able to grab chord voicings easily is vital for comping behind melodies and solos, and for filling out your own solos if you are the only chord instrument present. Grabbing voicings presents a challenge for your left hand because you often have to change the position of all four fingers simultaneously. The following exercises should be practiced with specific rhythms and with a metronome. Even if you don’t play one of the voicings cleanly, keep going; don’t lose the time no matter what. If you allow yourself extra time to grab a voicing, you won’t get the benefit of the practice. A further challenge regarding chord grabbing is playing the voicings with no space in between. 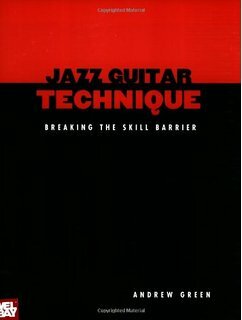 In addition to producing a very distinctive effect, it provides great left hand practice. The first exercises uses voicings in fourths over different chord qualities. The voicings can be played on either the middle four strings or the top four.